I’ll be the first to admit that cold winter weather brings out the Grinch in me. Sure, there are beautiful, snowy landscapes to gaze upon while sipping hot cocoa, curled up by a roaring fire. But for me, it seems like the underlying theme of winter is to torture me with dry, itchy, sandpapery skin. It’s hard to enjoy sledding and snowman building when underneath my layers and layers of clothing are chapped, and sometimes cracked hands, knees, elbows and feet. Feel sorry for me yet? You don’t have to, because I found a solution! 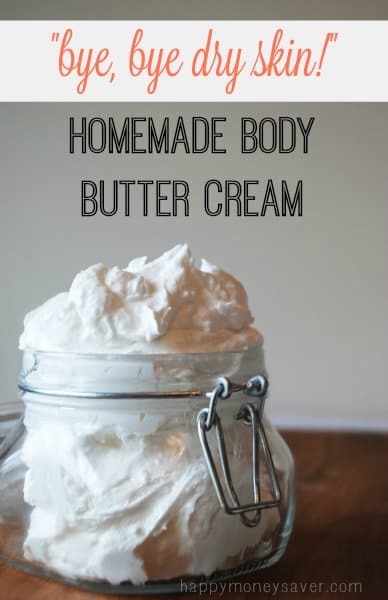 I am here to share the easiest homemade body butter cream you could possibly make. You don’t even need to turn on the stove! Put all ingredients in a stand mixer, turn on medium…and walk away for 5 minutes. Alright, alright…maybe you have a hand mixer. That’s perfectly OK. 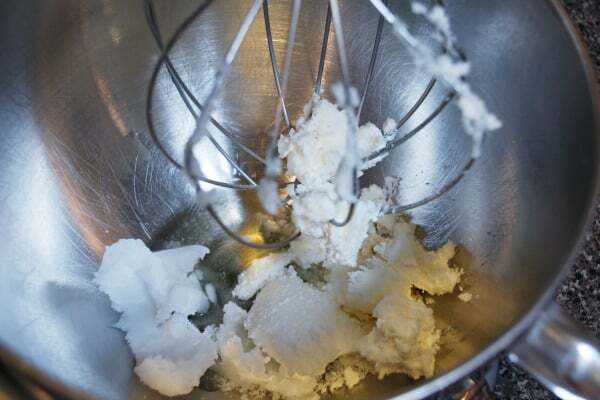 The point is, all that needs to be done to make this homemade body butter is to whip it. And whip it good! 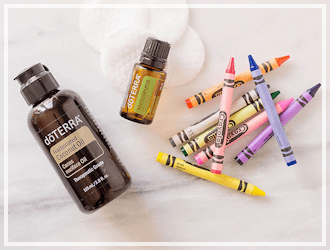 I love this recipe as is, but sometimes I want to spice things up a little by adding in a few drops of my favorite essential oils. I like to split this recipe into little tins, each with a different scent. I think they make the best gifts! 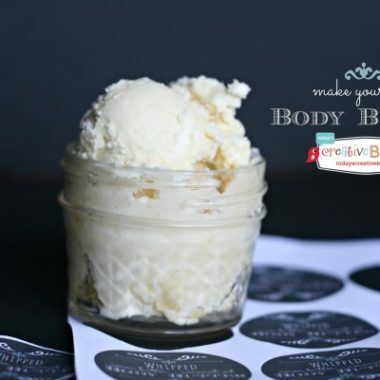 This DIY Homemade body butter cream is easy to make but can get pretty spendy to make! Buying your own body butter can range from $6.00- up to $25 or more for some of the more organic and all natural brands. I’m not really sure this DIY is worth the cost to make, but it is worth the time. I still plan on making my own because I love what it does for my skin and I love that I know exactly what ingredients are in it. I also love that I can tailor this recipe to whatever scent I want by adding in essential oils. If I want a body butter to use in the evening, then I would add a few drops of lavender essential oil which has relaxing properties and promotes calmness- perfect for bedtime! 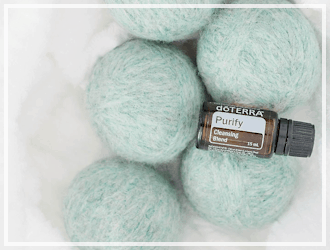 If I was looking for a more invigorating, uplifting body butter, then I would add a few drops of wild orange and peppermint. So I guess you can say that I am very happy with my homemade version, but I can definitely see why this would be too expensive for some. 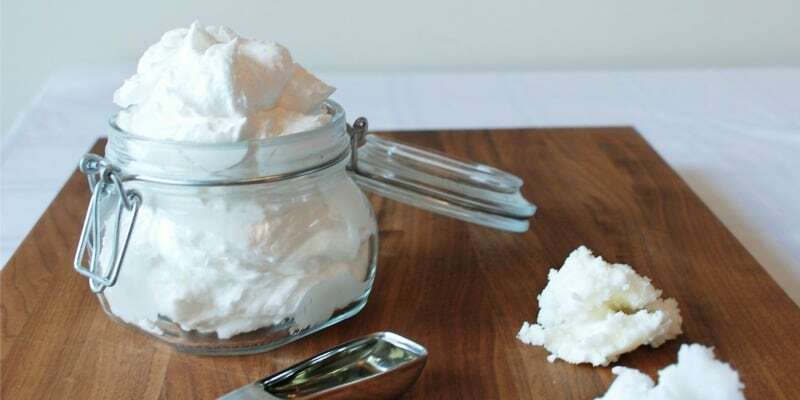 the easiest homemade body butter cream you could possibly make. You don’t even need to turn on the stove! 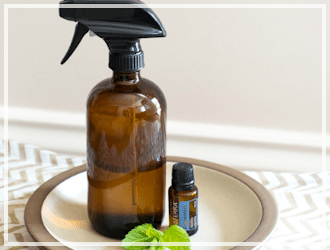 I love this recipe as is, but sometimes I want to spice things up a little by adding in a few drops of my favorite essential oils. I like to split this recipe into little tins, each with a different scent. I think they make the best gifts! 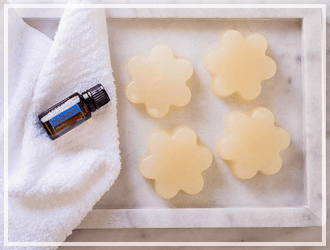 To see some of my other favorite homemade DIY products check out the links below! What other oil can be used besides coconut oil. I am allergic to that? I’ve made whipped coconut oil body butter before and it turned out super greasy (as in, it didn’t soak in at all — just sat on the surface of my skin until it rubbed off onto something else like my clothes – not fun!). So I was wondering, does this version soak into the skin? I know butters don’t normally soak in as fast as say a lotion would, but I really don’t like the greasy-staying-on-my-skin-forever feeling. 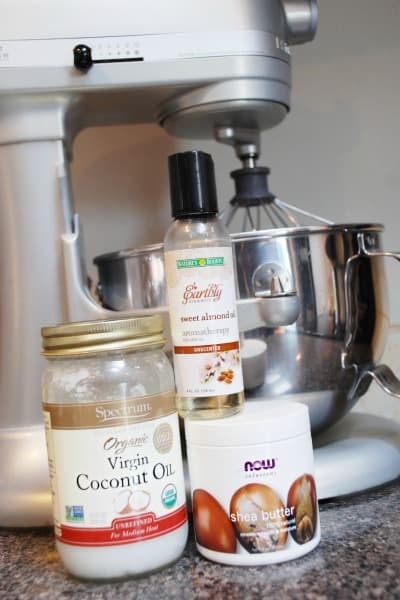 To make body butters less greasy, melt the oils together and mix one unit of cornstarch or arrowroot powder into the oils. Then chill the oils to partially solidified and then beat with mixer. If you use tablespoons, then use 1 tablespoon of the starch or powder. What ever unit of measurement you use, use 1 unit of the cornstarch or arrowroot powder. I made body butters for my daughter-in-laws Christmas gift, and I had some friends test the recipe for me and all of them said they loved it and it was not greasy. I use aloe vera with the ingredients so maybe subtract the almond oil and replace it with aloe. the mixture turned out fine for me. Hey! My daughter has by allergies, any recommendations to substitute the almond oil? Olive oil is a great substitute. Try Josie Maran 100% pure Argan Oil. Shop QVC and on Facebook. This and the dish soap recipe are easily not worth my time and money. 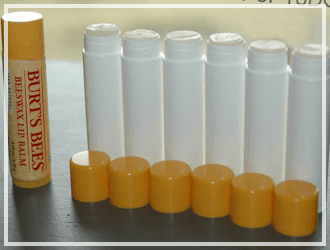 My 1st, 2nd, 3rd, 4th, and 5th priorities for DIY household items are to save money. For a similar effect, I simply spread coconut oil on my skin post-shower.